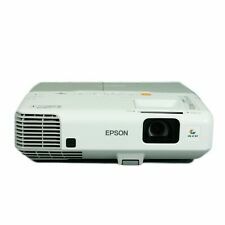 eBay Epson PowerLite 1761W LCD Projector w/Good Bulb! eBay Epson BrightLink 450Wi LCD Short Throw Projector - Less Than 600 Hours Use!! eBay Epson PowerLite 1705c 3LCD Projector. 2200 Lumens, Model EMP-1705. eBay Epson EX30 LCD Projector *Good Bulb* w/Case! eBay Epson Home Cinema 3600e 3D 3LCD Home Theater Projector - 160 Lamp Hours!